A start to finish project in Staines, Middlesex. 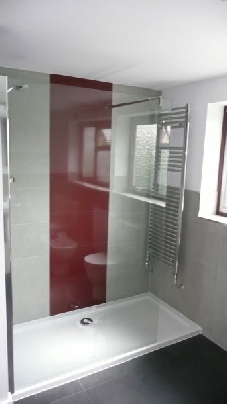 All walls removed and bathroom layout re-designed. Removal of traditional copper cylinder and airing cupboard, and installation of new Megaflo high pressure hot water system. 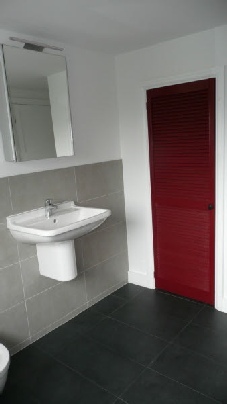 Porcelain wall and floor tiles, with high gloss red ceramic tile stripe. Walk in shower with mosaic wall. 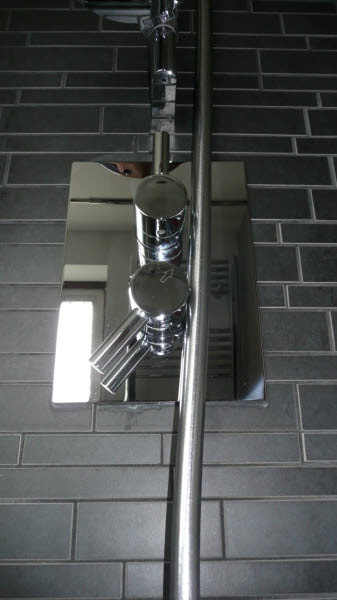 Chrome, wall mounted towel radiator. 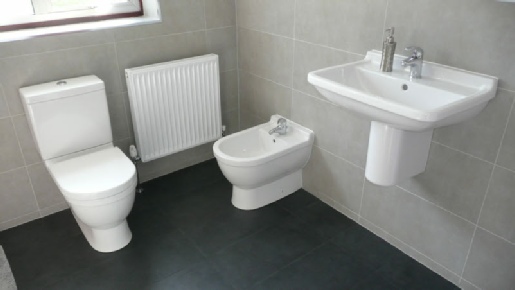 Duravit suite comprising: basin with semi-pedestal, bidet and toilet.